You might don’t know some of the great benefits of green tea that can help you to live long and promotes better health. 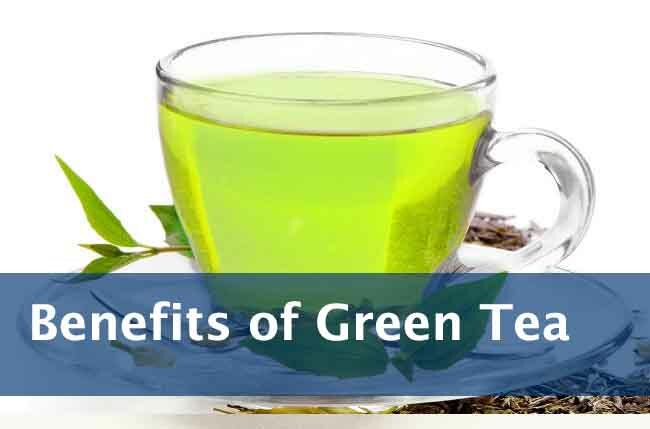 We have summarized some of the advantages of green tea. Green tea had been consumed in china about more than 3000 year ago and then it spread to japan and India. Before it was considered as a “luxury item”, but later on the drying techniques and many other innovations increased its availability and production. Nowadays, more than 2.5 million tons of tea is produced in the world yearly while 20% of that is green tea. Before the 1900s, green tea was not that popular outside Asia but now China and some other countries in Asia, United states and north Africa and consuming green tea the most in the world. In 2004, it was studied in University of Newcastle that green tea as well as black tea both are related to memory. Both tea helps to prevent from beta-secretes and BuChe that are also found in Alzheimer patient’s brain. One of the great benefits of green tea is it controls your cholesterol levels and blood pressure that protects you from heart diseases. According to another research, green tea is also ant diabetic and anticancer, etc. Some researchers found that green tea contains anthocyanin’s that can make the blood sugar levels normal. Green tea proved to be beneficial for diabetes patients and helps against ant diabetic effects and helps against obesity. In August 2009, some researchers found that green tea contains such elements that are good to make your bone healthy and make your bone improved up to 79%. Green tea is found to be a good source of burning fats; so green tea is the best source to lose more fats and weight. To make your health more metabolic you have to consume antioxidant product that are found in green tea. It is also found that green tea helps protect eyes due to the effect of catchiness and as a result your eyes will be safe from vision loss and oxidative damage.